Books are available in PDF and Mobi format, or printed on our high-quality colour laser printer. The icon beneath each item indicates the format in which it is available. Discounts are available for purchasing a PDF multi-pack. The Multi-pack permits you to print a specified number of copies of the purchased PDF. Please choose carefully as refunds are not offered. FireMonkey Development for iOS and OS X with Delphi XE2 is available in paperback from Lulu.com. 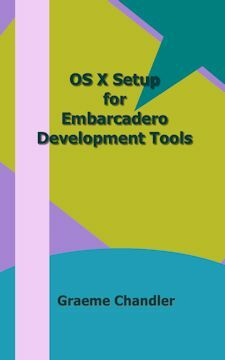 My new book, "OS X Setup for Embarcadero Development Tools" is currently free. I decided to consolidate the information from my other books concerning Apple sign-up, Mac configuration and app submission into this smaller book so that this information is not repeated throughout subsequent books. Download OS X Setup for Embarcadero Development Tools for free!